The drive to Thekkady itself is enchanting as the road winds through tranquil countryside, rich plantations & thick jungles. An Enchanting Plantation Town Thekkady, located in central Kerala, is a popular hill station and a wildlife centre, conjures up images of elephants, unending chains of hills and spice scented plantations. 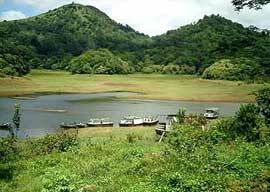 In the Periyar Forest of Thekkady is one of the finest wildlife reserves of India and spread across the entire district are picturesque plantations and hill towns that hold immense opportunities for treks and mountain walks. 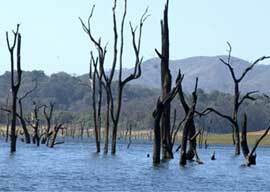 The Periyar Wildlife Sanctuary offers a fairly good chance of seeing the great Indian tiger in its natural habitat..